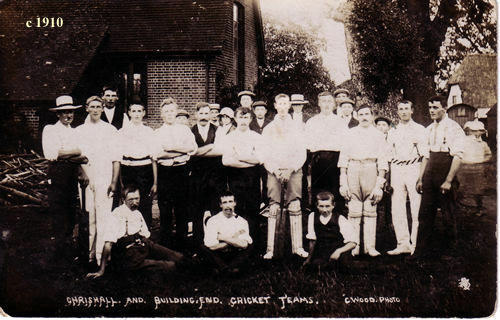 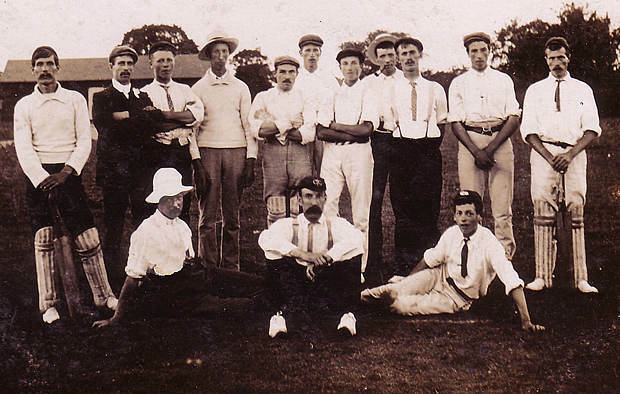 Above: Chrishall Cricket Team July 16th 1910. 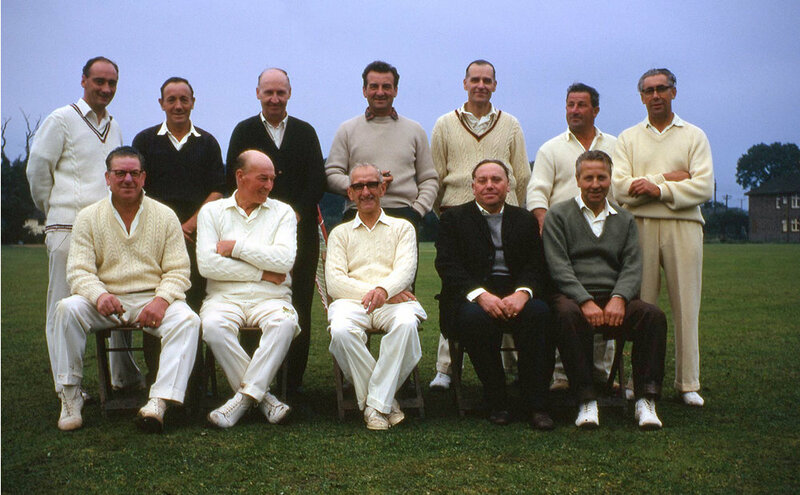 Even in their whites they all wear their caps! 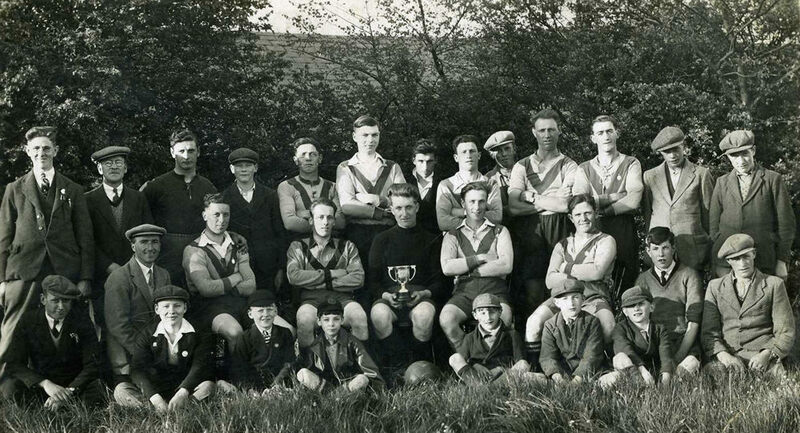 Below: This photograph from Bruce Drury’s collection would seem to be about the same era. 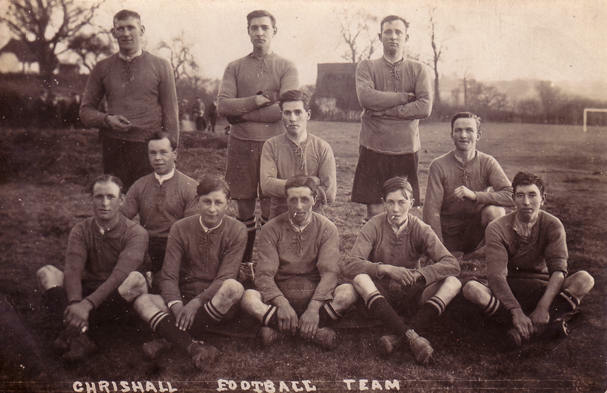 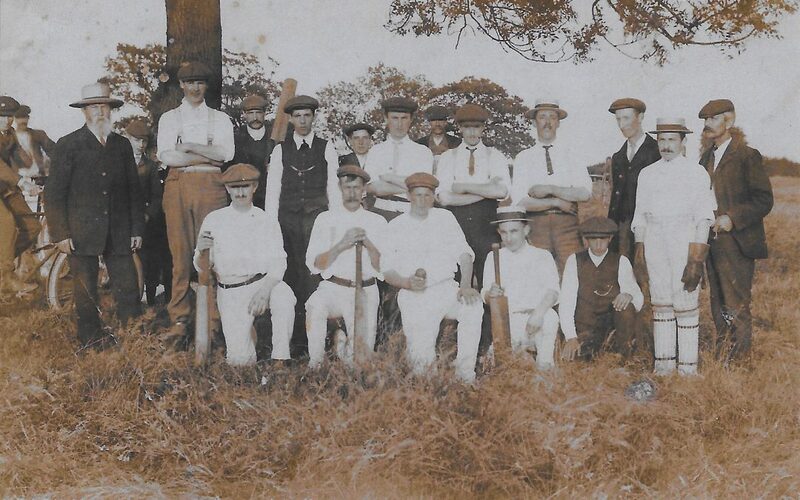 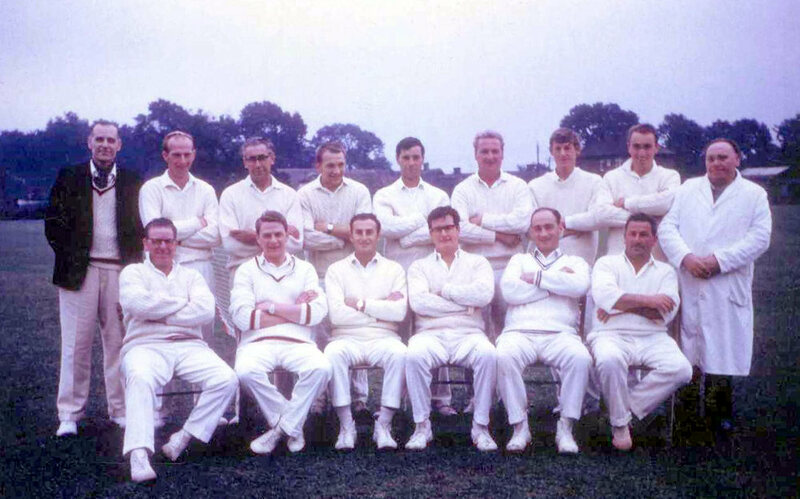 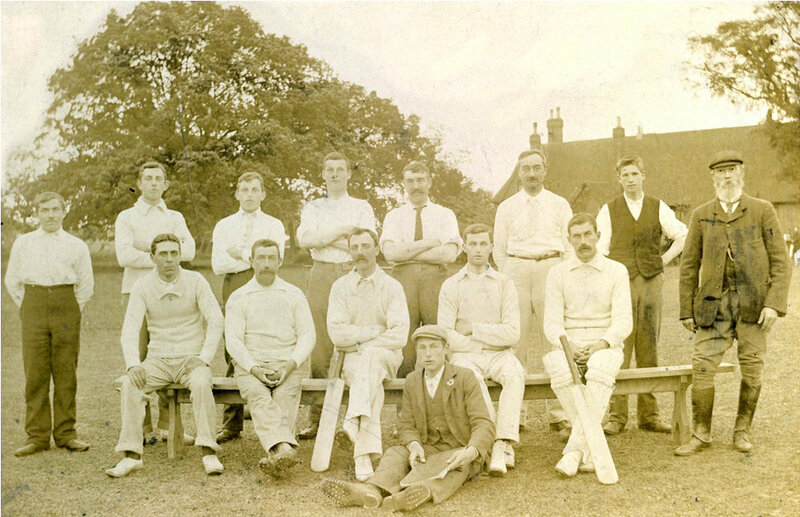 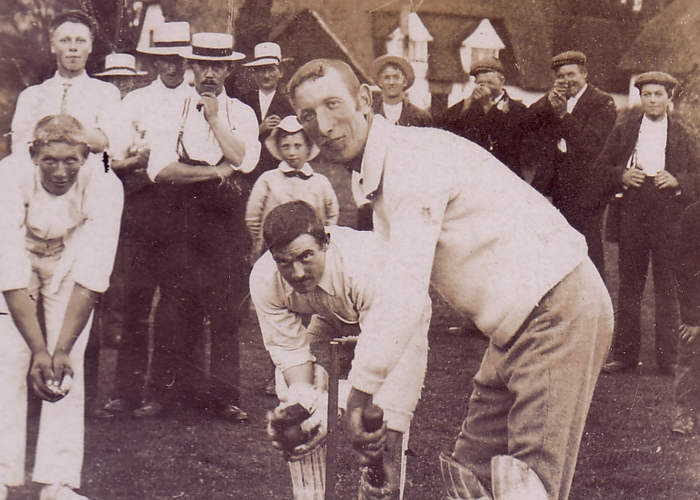 Chrishall Cricket Team c 1910 with Frank Pitches holding centre stage. 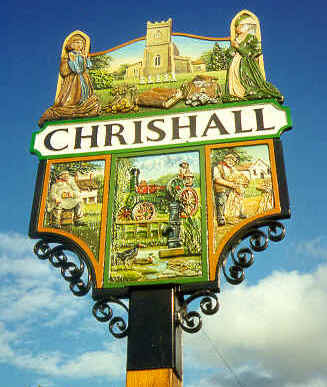 (Note the shepherd’s caravan in the background in front of the Red Cow).